Juan Guerra is now the city manager of Edinburg, with his appointment coming at a special Edinburg City Council meeting Oct. 9. 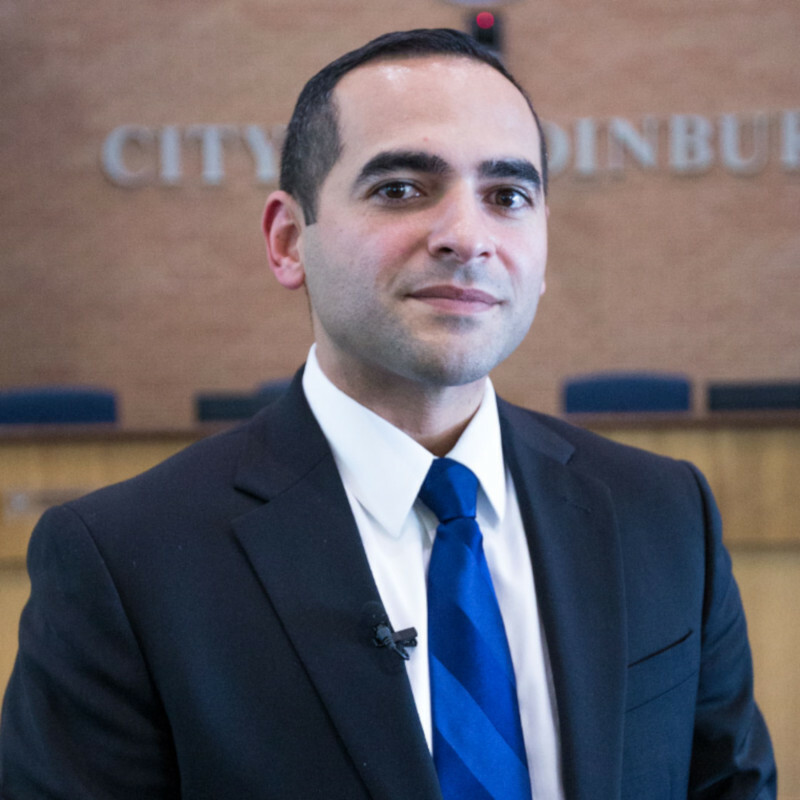 Guerra comes to Edinburg with 18 years of experience in city government. This includes three years as city manager for the City of Pharr since 2015. Born and raised in Chicago, Guerra has been a resident of the Rio Grande Valley for 26 years. He is a graduate of Nikki Rowe High School in McAllen and further education includes a Bachelor of Business Administration from Campbell University. He also possesses a Master of Business Administration from the University of Texas – Pan American. Guerra has also served in the United States Marine Corps from 1996 to 2000.